Hi guys/girls. 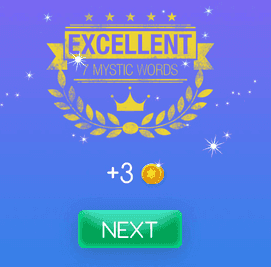 Welcome to Mystic Words Magenta level 29 answers. Remember to look only the answers to the clues you are blocked. There is no fun if you see all the answers before trying to solve them first. A set of bells in a tower 8 letters answer, click here! A way of treating diseases 9 letters answer, click here! Bear children 4 letters answer, click here! Grilled meat 8 letters answer, click here! Draining acessory 8 letters answer, click here! Capital: Luanda 6 letters answer, click here! A commitment to tell the truth 4 letters answer, click here!